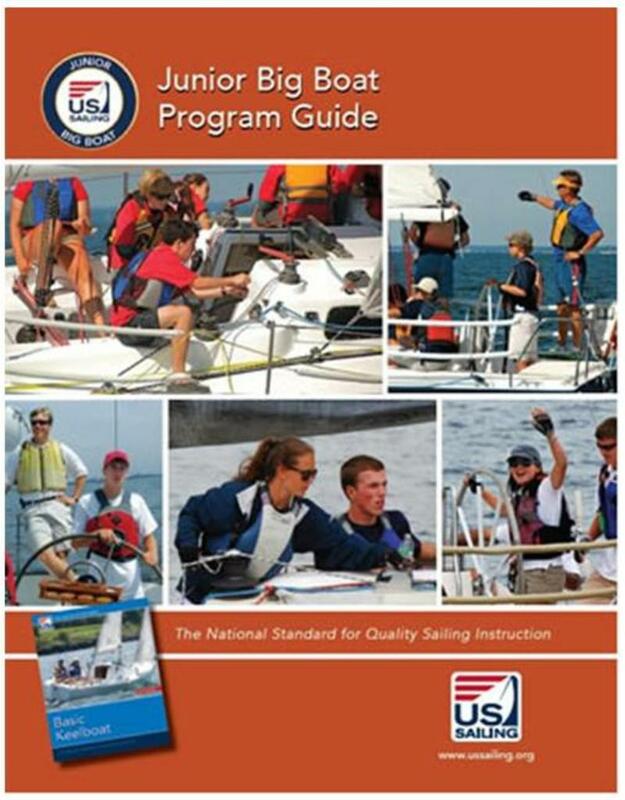 The Junior Big Boat Program Guide provides you will all the resources (except for the boat) to run the US Sailing’s Junior Big Boat Sailing program at your own location. 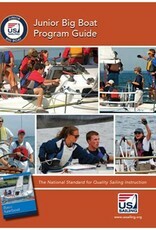 The Guide provides a step-by-step blueprint for setting up the program, eight (8) lesson plans, an “owners checklist” and a copy of the U.S. Coast Guard exemption which allows for Level 1 Instructors to facilitate the program without creating a “for hire” situation. The Guide also includes the Cue Cards which provide a positional guide for the sailors involved in the program. The Guide also pairs with Basic Keelboat. About the Program: The Junior Big Boat Sailing (JBBS) Program is an opportunity for teens to sail with an instructor, or coach, on 35-45 foot well-outfitted sailboats. The JBBS program is structured around the use of a volunteered big boat lent for use to the program by a club member, owner, or volunteer who receives no compensation for the use of the boat or its equipment. The program allows new sailors to learn the ropes on a big boat platform – or experienced junior sailors can apply their small boat sailing skills to a new challenge. The JBBS program highlights fun, social and teamwork. With JBBS skills, teens can be valuable crew on cruising boats and club racers. The program offers an introduction to Big Boat sailing through a framework of skills designed to provide teens with the resources to participate in overnight cruises or weekly race series. Copyright 2014.